For the last year, smartphone makers have shipped 4G-capable devices using a technology known as “LTE”. 4G, as the name implies, it is much faster than traditional 3G, sometimes as much as 10 times faster. A maker that hasn’t jumped on board yet is Apple, who also didn’t build 3G into the iPhone until 2008. According to a file that was found buried deep within an internal test build of iOS, it now turns out that Apple has been carrier testing the iPhone on LTE, in order to make it compatible with any LTE carrier around the world. Should we be surprised? Absolutely not: Apple is known for conducting heavy-lifted research for years before ever shipping a product to the consumer market. As with any new technology competitors are adopting, it’s understandable that Apple might want to figure out how to best implement 4G into its own products. This will mean that unlike other early LTE-capable smartphones that had little time to mature before they reached the market, a future LTE-capable iPhone might not have many of the common setbacks found in those products, such as an incredibly diminishing battery life. A leaked .plist, which is essentially a preferences file, doesn’t point to how far Apple is into testing LTE on its products. 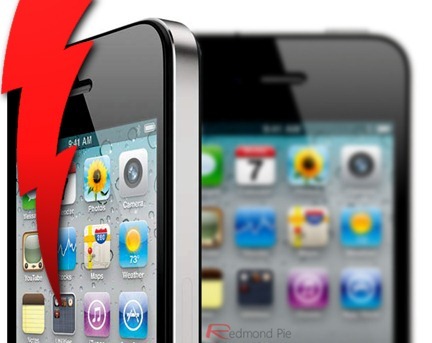 Indeed, it’s unlikely that the iPhone 5 will be built with this technology. Maybe not even the one after that, but the need for faster cellular speed is real and Apple needs to address it somehow. If the LTE setbacks can be addressed, there will surely be a 4G iPhone in the medium-term. Apple has played this game before. Back in 2007, when the original iPhone was released, many were surprised with its lack of any 3G support at all. According to the company at the time, building the technology in it (iPhone) was impossible without seriously compromising the device’s battery life. Yet, one year later, the iPhone 3G was released with better battery life and 3G support, likely after vigorous testing. The next step for Apple will be to work with reliable carriers across the world to bring the device to market, such as Verizon which offers LTE service and also offers the iPhone on their network. Judging by how successful the iPhone has been over the years, striking a fairly one-sided deal will likely be a piece of cake Apple.